With Halloween just around the corner, Elyse invites the Higgins law firm staff to an opulent masked Halloween costume ball. 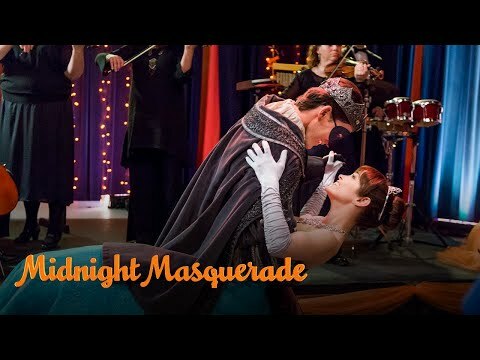 Rob obeys an order to remain in the office working that night, but has a change of heart when his spunky, 12-year old niece, Ruby, convinces him to attend the ball wearing a prince costume. After a magnificent waltz and magical exchange with the handsome "prince," Elyse yearns to locate this mysterious man and hopefully find the romance her life has been missing. “Midnight Masquerade” will brighten your day and put a smile on your face. Rob Carelli is the nice guy in his law office but his boss regularly takes advantage of him. This story is about making the right choices and also features a bit of romance. Rob begins to have feelings for Elyse Samford, who is the new CEO of her family’s business. Rob’s niece, Ruby, wants to play matchmaker and get Rob and Elyse together. Rob is a bit on the shy side, but Ruby sees his good heart. Rob finds himself in the middle of a complicated situation, because Elyse’s rival company is pressuring her company into selling, and Rob overhears the plot against her. He has to decide whether to keep quiet or do the right thing. Although approved for all ages, the movie is not intended for young children. We award this movie our Dove Family Approved Seal and five Doves, our best rating. The likable cast, the themes of making the right choices, and the plot about pure romance are what make this a fun, wholesome film for the whole family.